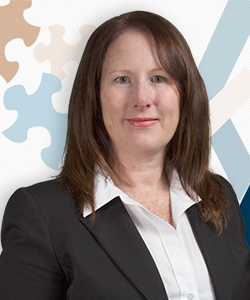 Sharon Hoyle brings over 25 years experience in the healthcare industry. As the Corporate Compliance and Privacy Officer for Medical Management Services, Sharon’s expertise lies in the compliance and privacy arena and includes program design, implementation, training, auditing, and investigations. For over 10 years, Sharon served as the compliance and privacy officer for several physician practices. In this role, she was responsible for the development, implementation and ongoing assessment of the required elements necessary for effective compliance programs. Simultaneously, she developed and implemented policies and procedures to ensure compliance with the HIPAA Privacy and Security Rules. In 2004, Sharon was selected to participate in a government – industry roundtable hosted by the Health Care Compliance Association (HCCA) and the Office of Inspector General. She has also been featured in Compliance Today, a monthly magazine published by the Health Care Compliance Association. Sharon holds certifications in health care compliance and professional coding. She is an active member of the Health Care Compliance Association, Association of Certified Fraud Examiners, and American Academy of Professional Coders.